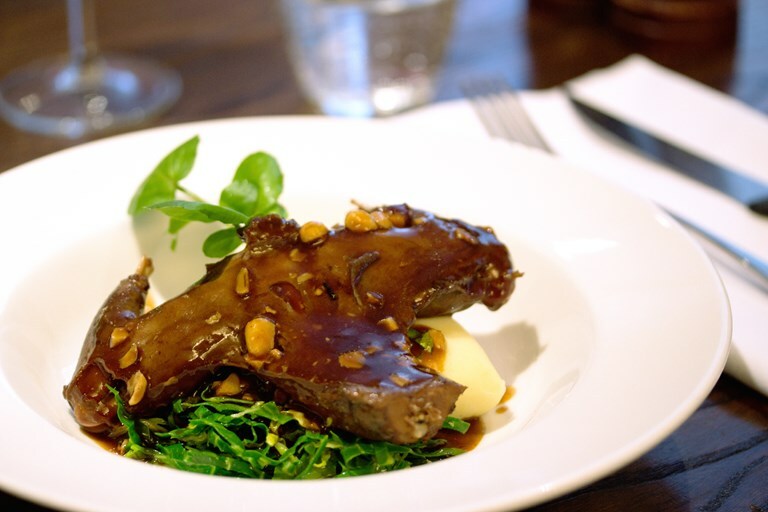 Celebrating game in all shapes and forms, this squirrel recipe comes from The Jugged Hare gastropub in London. Lean but full of flavour, squirrel meat suits being cooked slowly, as here in a rich red wine braise. Served with a horseradish mash and sautéed sprout tops, it would make a delicious Sunday lunch. The Jugged Hare is London’s leading game restaurant.